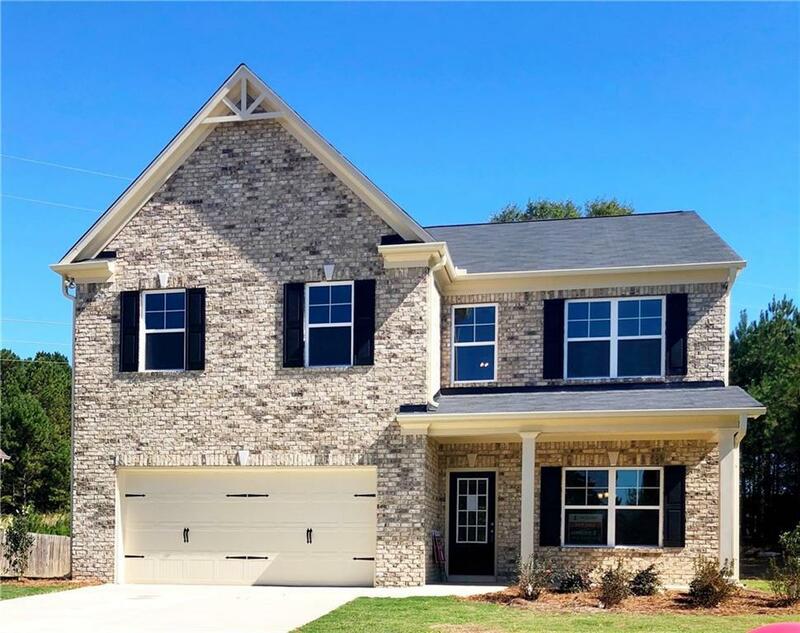 Move-In Ready Home built by EMC Homes GA THE CHARLESTON A TWO-STORY FOYER WELCOMES YOU TO THIS LARGE FLOOR PLAN. LARGE DINING ROOM FOR SPECIAL OCCASION CELEBRATIONS. KITCHEN WITH ISLAND AND SAY HELLO TO CABINET SPACE! BUILT IN DESK AREA, LOTS OF COUNTERS AND A VIEW TO A LARGE FAMILY ROOM. UPSTAIRS A LARGE MASTER SUITE WITH SITTING, TWO LARGE WALK IN CLOSETS AND A SOAKING TUB. SECONDARY BEDROOMS ARE SPACIOUS WITH GOOD CLOSET SPACE. LAUNDRY ROOM UPSTAIRS. LEVEL LOT WITH THREE SIDES BRICK. Built by EMC Homes GA. Directions: Hwy 78eb To Rosebud Rd. Follow Rosebud To Pate Rd. Take Right On To Pate Rd And Then Immediate Left Onto Lenora. Community Is On Your Rt.